yeah you can make game like Doom1-2 in GMS but It just harder and might not offer advance graphic function if you need one. So, if I were to do a 2.5d, like a doom or a spooky's house? With 3d enviroments but 2d characters, and such? You can also make 3D game with GMS but it harder and not good as what you can do with unity. It's more design for 2d. Out of curiosity if you wanted to do a 3D side scroller kinda like mighty .9 would you recommend gms or unity ? if you want to make anything 3D I suggest Unity but if you want to make your idea become real fast but not 3D GMS is a good choice. Mighty No.9 base on Unreal Engine though. Yes truly you can make any kind of game you want some one even try to make game like GTA on it. better get free version to learn some basic before go buy it since it's quite expensive anyway. Well, I picked the engine up by a humble bundle, Musing about things. which enough to learn something and create small game. - 5 Playable character with different power and weapons. 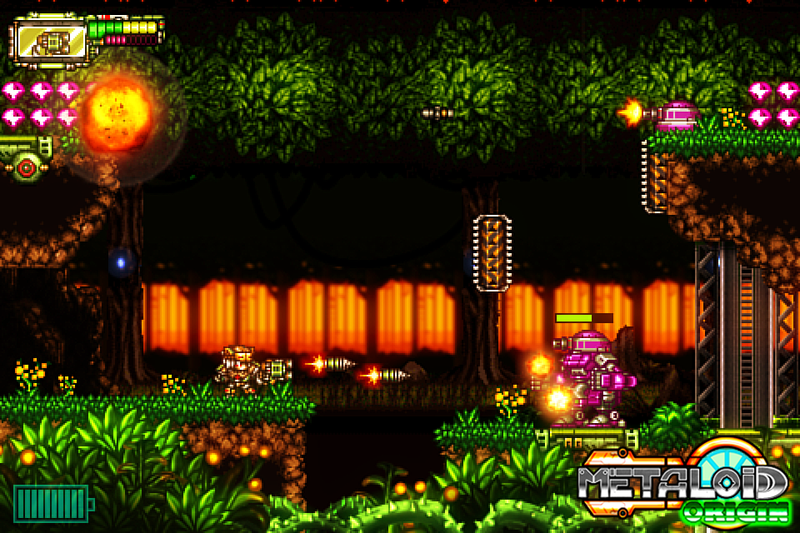 - 8-10 level feature different environment. - More than 20 type of weapons. Looks like a AAA game to me, if AAA game companies still do pixel art that is. I like it. only problem I have for now is I don't know did the game offer some "fun" to player or not I decide to allow player test it at early of development maybe we can improve some feature or level design make it feel "right" for them since the game have only 2 person working on it we can't know by our self if the game good for player or not but for us it's away great. can't deny the game still have some feature design to make money but mostly just some sort of cheat to help noob or lazy player finish the game easier than normal. and sadly we don't have MP for our game even we want to include it so bad but we lack of ability to do so for now. we still consider about game price for windows version but I didn't expect price to reach 10$ anyway. How much is it? and I mean really how much? Funny you posted this. I just finished the clown tutorial. Gorgeous. Don't think I'd mind testing it. Is it multiplayer? Those game look really great I really want to learn more about it if you have any project website to visit. Me [Artist] and my friend [Programmer] create side scrolling platformer game call "Metaloid:Origin" using Game Maker Studio focus for IOS/Android but still can be play better on PC, Unlike most action game on mobile we really try to make it as "Real game" which lack of microtransaction thingy. We was plan to release Alpha Demo on next month I hope if anyone interesting to help me test it and give me idea how to make the game better. and truly I really want to see more GMS user show their project here. If use a programme like this one, I'd make another MegaMan X game (Always liked to play it) , other than jbk productions MegaMan X corrupted. sometimes it's easier to coast off of another game's sails than to jump into an ocean of other indie games all alone. I've modded many C&C games over the years and in the past few months have been developing Indie Games using game development software called Game Maker Studio. I've learned the custom language it uses called GML and have developed 2 platformer style Indie game engines from scratch in the past 5 months. I started with zero knowledge of programming and had only slight previous experience with my mod for Tiberium Sun. I know a lot of you have a great RTS game in mind and have been trying to use the non open source C&C game engines to develop it, but there is only one place those mods can go, on the shelf. Game Maker Studio is very user friendly and might be what your looking for. It is also free to use for windows games but can also be upgraded to export games to MAC, IOS, PS, XBOX, etc. It supports RTS style games and even isometric view! The reason I'm posting this is a see a lot of drive and talent from modder's and those skills should be put to better use than a large scale total conversion of a game engine that's already property of another. Go and make a new RTS title of your own and even if it's simple I guarentee you will gain a fan base. Thats what I'm doing and hopefully you will consider it.